Squirrels created a fire hazard by gnawing on wires at this squirrel-removal job in Leeds, Alabama.. Welcome to the Birmingham, Alabama office of Rid-A-Critter. We provide safe, humane, animal control in Jefferson County, Alabama and the entire Metro Birmingham area. With more than a decade's experience, Rid-A-Critter has grown to become to region's largest and most comprehensive nuisance animal control company. We've built our success on a foundation of providing the most modern, progressive wildlife management services, combined with friendly customer service that has earned us the Better Business Bureau's highest rating. We also use technicians who live in the areas that they service and who serve as the lead technicians on jobs within their service areas. But they also have backup from the rest of the company when they need it, resulting in hundreds of years of collective animal control experience and the biggest fleet of specialized equipment in the industry being available to them at a moment's notice. Please contact us if your animal control problem isn't listed. Chances are, we can help you. Both humans and wild animals have a lot of needs in common. Among these are our needs for places to live, and for food to eat. The problem, from a critter's point of view, is that as human populations grow, our cities and suburbs spread to make room for all those additional people. This often means cutting down forests and otherwise encroaching upon the lands that the animals once had pretty much all to themselves. What this means is that the places where the wild critters and the human critters live, work, and play start overlapping each other; and wild animals start looking for places to live and food to eat closer and closer to human folks. To make matters worse, once they move into our neck of the woods, the critters start getting more and more comfortable among humans -- comfortable enough, in fact, that they start moving into our homes and other buildings. And although the animals might not mind sharing, when wild critters get into our homes and property, they can cause major problems. Damage. Almost any animal that gets into your home is going to cause some kind of damage to your house itself and/or to personal property that you have stored away. For example, rodents in your attic will gnaw away at pretty much anything you have stored up there. Health risks. Most animals can have a role in transmitting diseases through their urine, droppings, and shed parasites. Animal Attacks. Some animals, like raccoons, may attack if they're startled. This could happen if, for example, you or someone in your family goes up into the attic to get something stored up there and comes across a raccoon that you didn't know was living in the attic. Increased Risk of Fires. 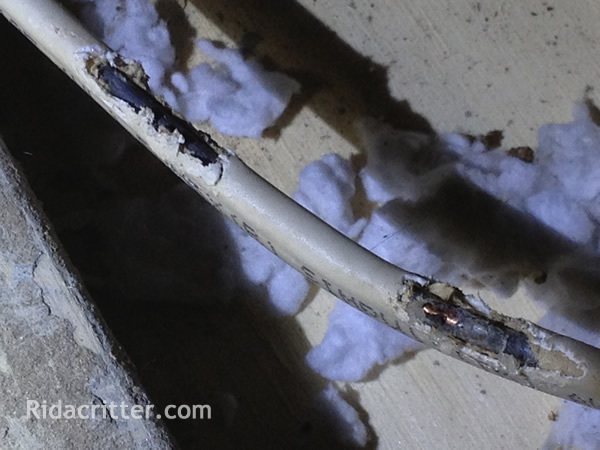 Rats, mice, and squirrels living in your attic or in the walls of your home often create fire hazards by gnawing the insulation off electrical wires, leaving the conductors inside exposed. A young raccoon trapped in Leeds, waiting to be reunited with its mom. Nonetheless, despite the problems that they cause, animals are part of our natural world. As such, they deserve to be treated humanely and with respect. After all, it's not their fault that their habitats are being reduced by human expansion. Checking traps often and promptly removing trapped animals. Treating captured animals with respect and compassion. Using the most humane trapping methods possible in a given situation. Not causing unnecessary harm or stress to the animals we handle. Relocating trapped and removed animals to a suitable habitat when permitted by Federal and Alabama state law. Attempting to keep animal family groups together whenever possible. Bringing orphaned animals to qualified wildlife rehabilitators. 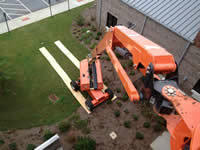 Rid-A-Critter has the staff and equipment to handle any animal control job. 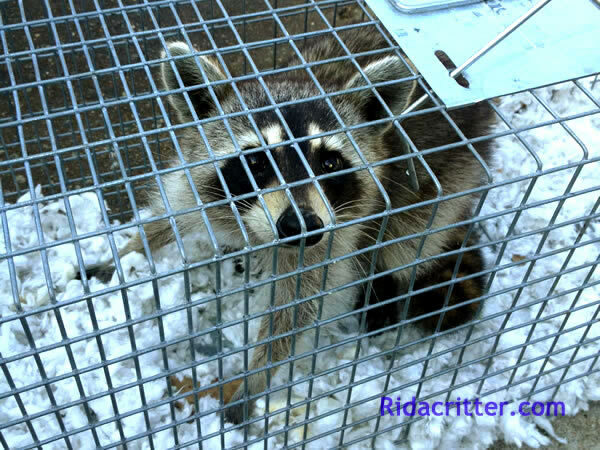 Rid-A-Critter is licensed by the state of Alabama Department of Conservation and Natural Resources to provide nuisance wildlife control services. All of our Alabama animal control specialists also possess the required Alabama state licenses, and are carefully screened prior to being hired. We also are fully insured for all the work that we do. Our training program is among the best in the industry, concentrating not only on the latest animal control practices and techniques, but also on the environmental and ecological implications of wildlife management. To insure the highest quality of service, we also employ field check supervisors to who perform unannounced quality assurance inspections. We insist on the finest quality of work from all of our technicians, and we provide them with the finest materials and equipment needed for them to perform at their best. Our goal is perfection, and our goal is your gain. On behalf of our entire Alabama animal removal and wildlife management crew, thanks for considering Rid-A-Critter for your animal control needs. 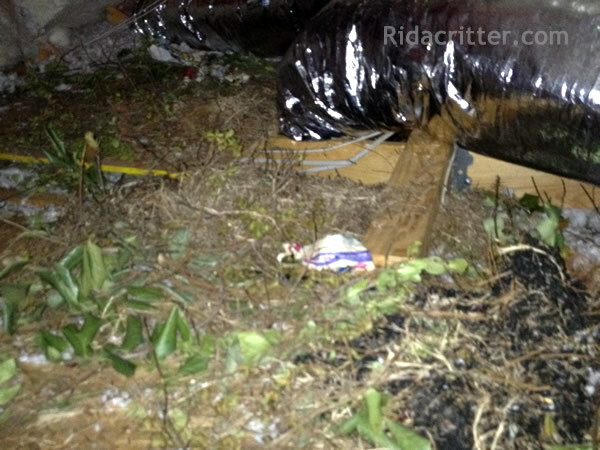 The Birmingham, Alabama office of Rid-A-Critter provides in Birmingham, Alabama and the the entire Metro Birmingham area including Anniston, Bessemer, Brighton, Chelsea, Fairfield, Heflin, Homewood, Hoover, Hueytown, Irondale, Jasper, Leeds, Midfield, Moody, Mountain Brook, Oxford, Pell City, Trussville, Valdosta, Vestavia, and their surrounding areas.